In 2015, the Supervisory Board held seven scheduled meetings. Prior to each scheduled meeting the Supervisory Board comes together in a half-hour ‘SB-only’ session. This gives the members an opportunity to exchange views and determine the main points for discussion in the meeting with the Management Board. Remuneration matters and topical issues were also addressed in these sessions. The outcomes of the SB-only sessions are shared in the actual meetings. In addition, the Supervisory Board met five times with the Management Board about specific issues, such as the network exchange between Enexis and Alliander, the company's strategic direction and the WNT. All these Supervisory Board meetings were held at the head office in Arnhem, except for one meeting at the renewed location in Duiven. There were also three conference call meetings. Before the meeting in Duiven, the members of the Supervisory Board were given a guided tour of the sustainably renovated building. In addition, the committees held a total of ten meetings. Virtually all Supervisory Board meetings were attended by the full Management Board. None of the Supervisory Board members were frequently absent. Two Supervisory Board members were unable to be present at one meeting. One Supervisory Board member was absent at two meetings. They provided their contributions in writing and/or by telephone in advance. Ms M.I.I. Miener, General Counsel, and Ms M.M.A. de Bliek, Manager of the Corporate Secretariat, act respectively as secretary and deputy secretary of the Supervisory Board. The agendas of the meetings are prepared by the chairman of the Supervisory Board in consultation with the chairman of the Management Board, the secretary and the deputy secretary. In 2015, several talks took place between the Central Works Council and Ms Van der Linde, the Supervisory Board member who was appointed on the basis of the enhanced right of recommendation of the Central Works Council. The issues discussed included the staffing consequences of the network exchange between Enexis and Alliander. Consultation also took place with the Central Works Council about the Supervisory Board appointments and reappointments. 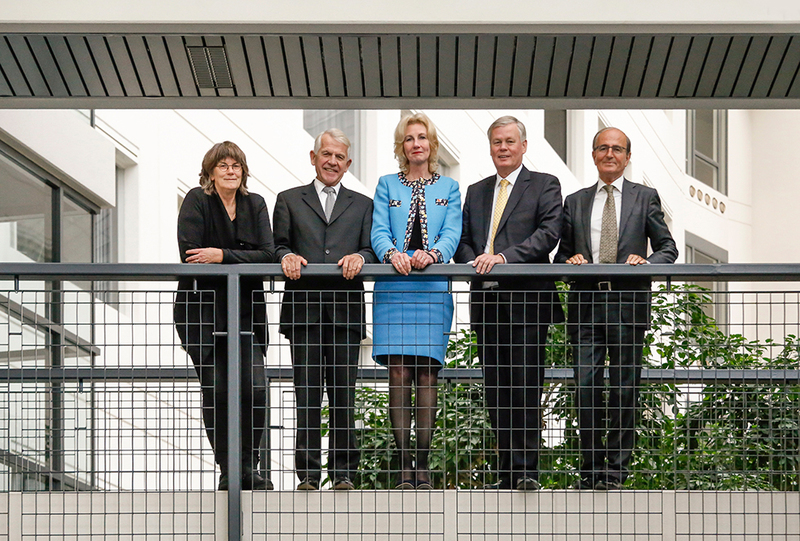 The Supervisory Board attaches great value to the good relationship with the Central Works Council. The financial statements were audited by PricewaterhouseCoopers Accountants N.V., which issued an unqualified opinion. This statement is included in this annual report under 'Other information'. The Supervisory Board extensively discussed the annual report with the Management Board and the external auditor and took note of the Audit Committee's findings. Based on this consultation, the Supervisory Board is convinced that this annual report meets the statutory provisions as well as the governance and transparency requirements. It forms a good basis for the Supervisory Board to account for its supervision during the year. The Supervisory Board members have signed the financial statements in conformity with their statutory obligation under Section 2:101 (2) of the Dutch Civil Code. The Supervisory Board recommends the adoption of the financial statements for 2015, including the proposed profit appropriation, at the General Meeting of Shareholders on 7 April 2016, taking account of all statutory provisions and the articles of association. Furthermore, the Supervisory Board proposes to discharge the Management Board and the Supervisory Board from responsibility for, respectively, their management and supervision in the past financial year. The Supervisory Board thanks the Management Board and all employees for their hard work and the results achieved in the past year.